We design & manufacture vending machines to suit the requirements of your business all over Australia. Our vending machines may be purchased outright or rented for a stipulated period of time. The vending machines are fully serviced and maintained, electronically as well as mechanically during the period they are installed at your place of business. Vending machines may also be installed and operated on a profit-sharing basis. 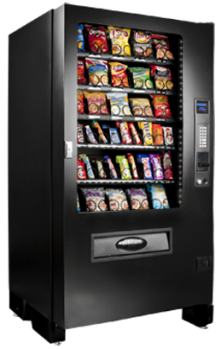 Our vending machines vend a wide variety of products including Snack Vending, Combination Vending, Healthy Food & Healthy Snack Vending, Hygiene Vending, Needle Vending Machines, Drink Vending Machines and more. We provide custom machines, stocked your way. Our machines are delivered, installed and re-filled by us, for free and come with 24/7 monitoring.